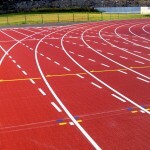 We supply and install various types of athletics track surfacing for facilities across the UK. These are often used for schools and professional clubs, and the specifications we use will vary depending on the level of use. We offer surfaces for recreational athletics events as well as competitive ones so you’ll be able to find the perfect design. Don’t hesitate to contact us if you would like some more details on all of the products we have available. One of our experts would be happy to discuss the work with you and provide a quote for whatever will be needed. Just be sure to give us as many details as you can including your location and the dimensions of the proposed area. 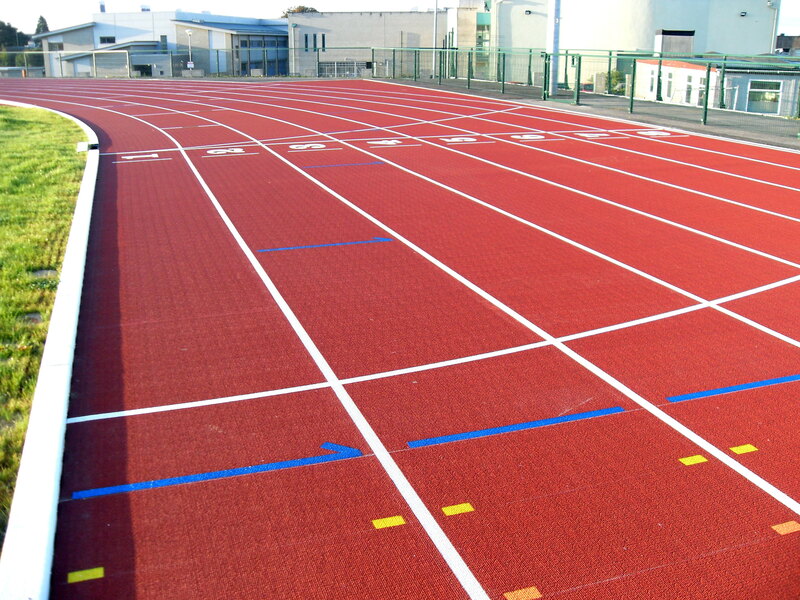 When you choose to install athletics track surfacing for your club, school or leisure centre it’s important to select a specialist contractor who can give you the sports facility you’re looking for. 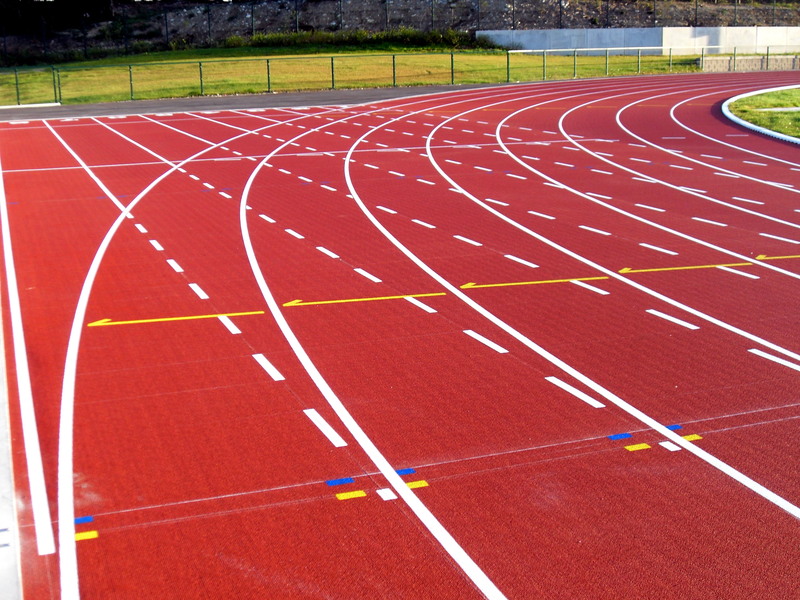 We are experts in the construction and installation of sports facilities for a range of specifications and athletics events including running tracks and long jump runways. 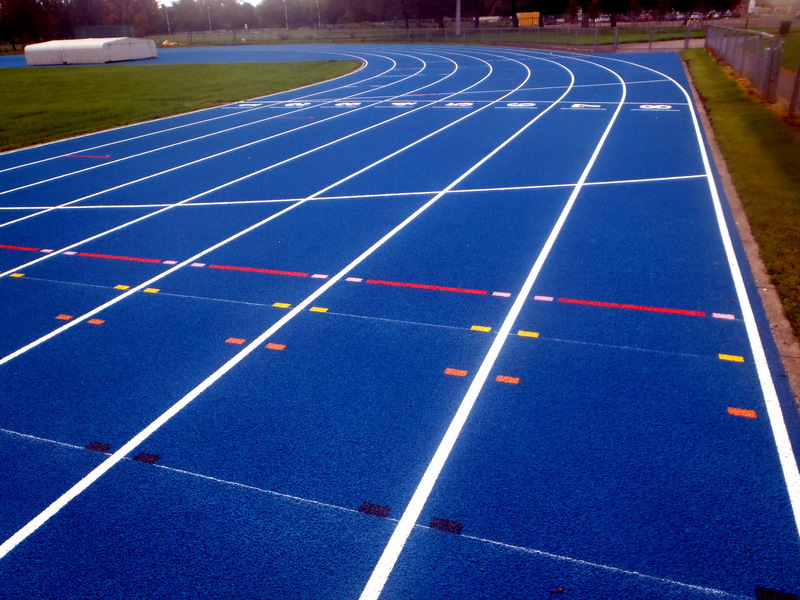 The most popular type of surfacing for athletic tracks is polymeric rubber; this is made up of EPDM rubber granules which are mixed together with a binder and laid in situ by our specialist installation team. 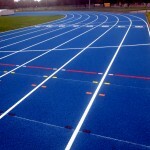 Polymeric rubber sports track surfaces can be applied in a range of specifications and depths depending on your requirements and the budget you have available. An alternative to the traditional polymeric athletics surface is needlepunch synthetic turf. 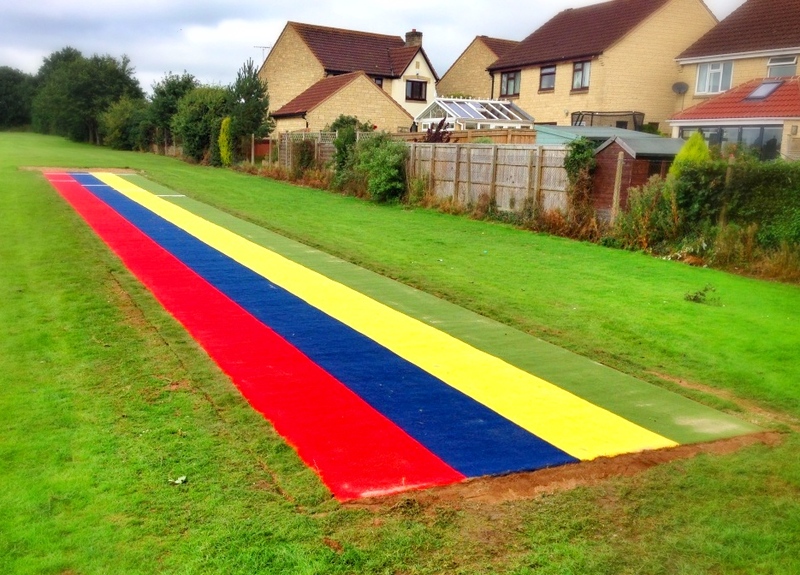 This is a popular surfacing option for primary schools and clubs where younger children are participating in athletic events as it provides a softer more impact absorbing landing surface and can be installed in a number of bright rainbow colours to make athletics even more fun. We can construct athletics facilities in a range of dimensions and specifications to suit the individual requirements of each project and to ensure you have the sports surface which is right for you. 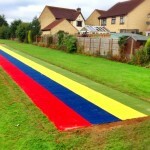 To find out more about the needlepunch sport surface type, please click here – https://www.sportsandsafetysurfaces.co.uk/surface-types/needlepunch/surfacing/ where you can see details of this specification and the different facilities it can be used for. 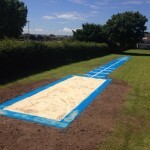 There are a number of factors which have an effect on the overall costs of an athletic track or long jump runway installation, for example the surface specification, the site location and the existing conditions of the area. However certain aspects of the construction can be compromised on to help keep prices down and to stay within your required budget. We aim to offer a flexible service which allows you to have full control over your athletics track surfacing project and to ensure that you get the sports facility that’s right for you. Our quotes can be tailored to fit your budget requirements while still providing you with the top quality outdoor area you need to give your athletes a positive sporting experience, whether it’s for recreational use, professional use or a combination of both. 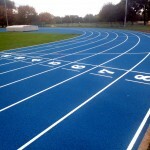 Carrying out regular cleaning and maintenance also helps to reduce overall costs for athletic tracks as it helps to keep the surface in top condition and minimises the risk of any damage which could be costly to repair. Maintenance for an athletics track could include brushing and pressure washing to remove any dirt and debris which could contaminate the surface, this will help to maintain good water drainage and prevent the surface becoming unsafe for athletes. It’s vital that you regularly check your sports surface for any problems such as flooding or contamination and get these issues dealt with as soon as possible as they could become a lot more expensive to deal with if left to get worse. We have completed numerous projects in the UK to design, install and repair athletics facilities including full sized running tracks and triple jump runways, please fill in our contact form if you would like to speak to us. One of our experts will get back to you as soon as possible with some more details including case studies of previous work we have carried out. Please let us know if you are looking to stick to a certain budget, and we’ll try to make our prices as cost effective as we can. 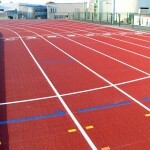 All quotes for athletics track surfacing vary depending on size, location, site access and many other factors so please give us as much information as you can.